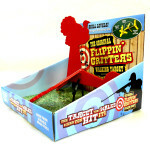 The Target That Walks When You Hit It! 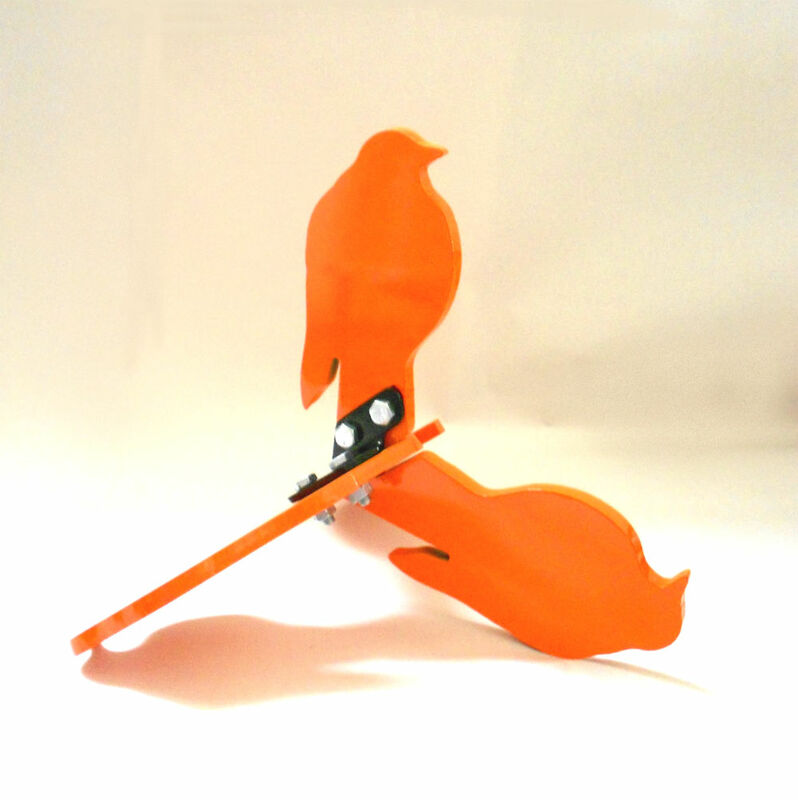 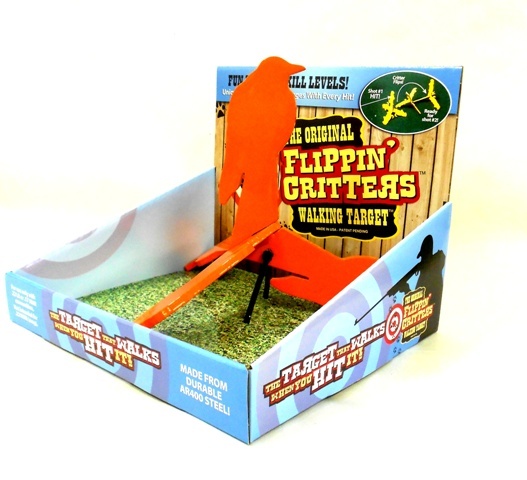 The Flippin’ Critters® Walking Target® was designed with a single goal in mind . 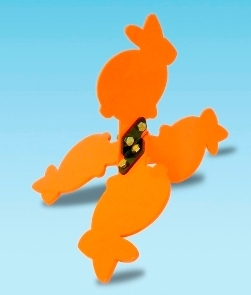 . . FUN! 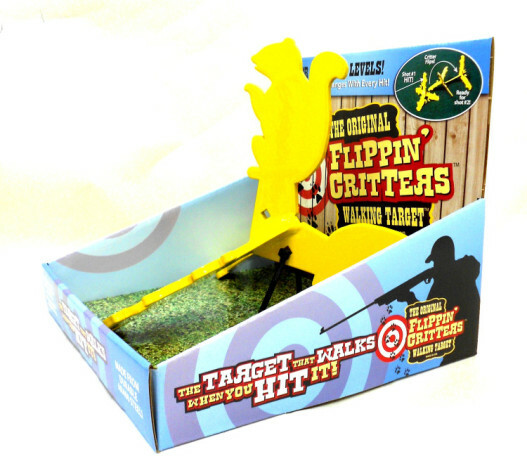 The Flippin’ Critters’® unique “tri-pod” design causes it flip or walk away from you every time you hit the target. 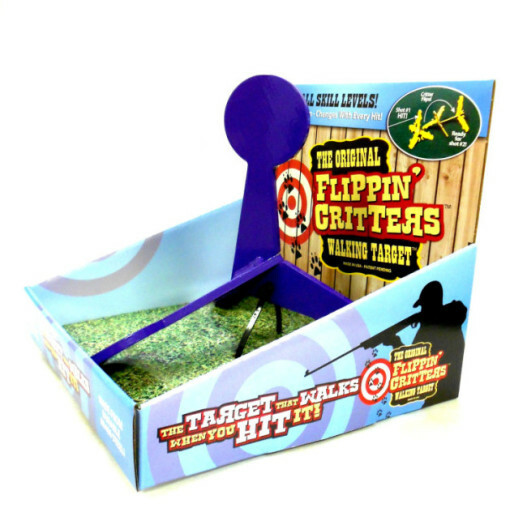 Hit it and it takes a step. Hit it again and it takes another step. 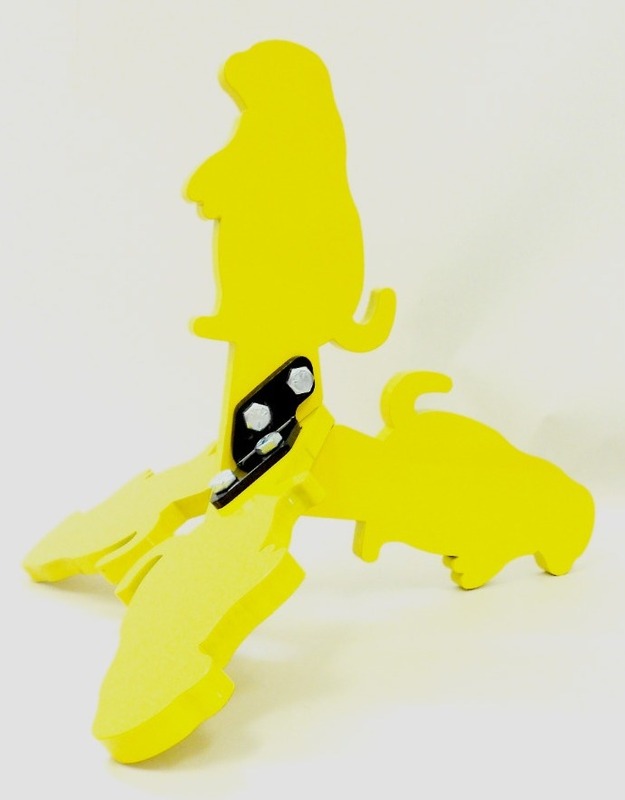 It’s always CHANGING. 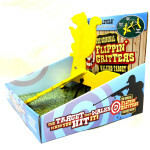 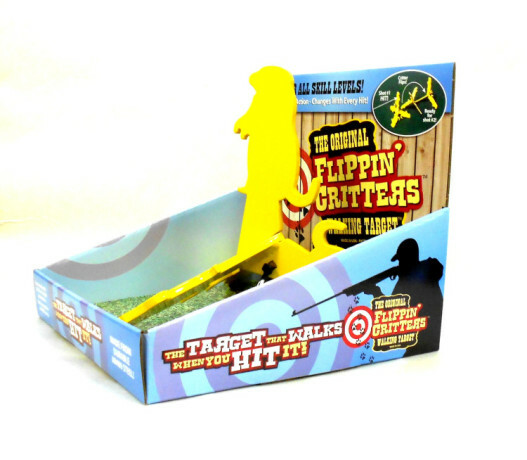 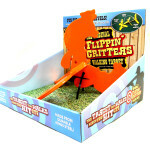 The Flippin’ Critters® Walking Target® is challenging and FUN for everyone that enjoys shooting. 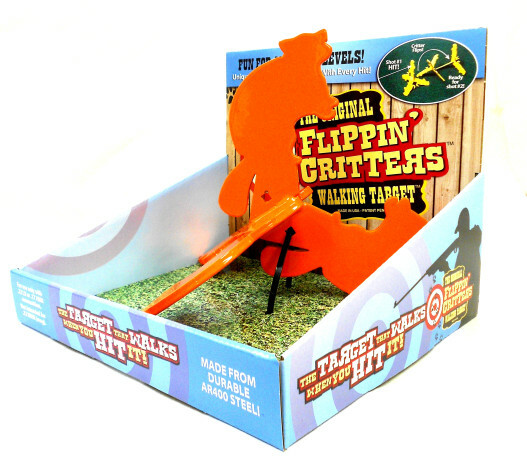 Every Flippin’ Critters® Walking Target® is made from hardened AR 400 and AR500 steel for long-lasting FUN. 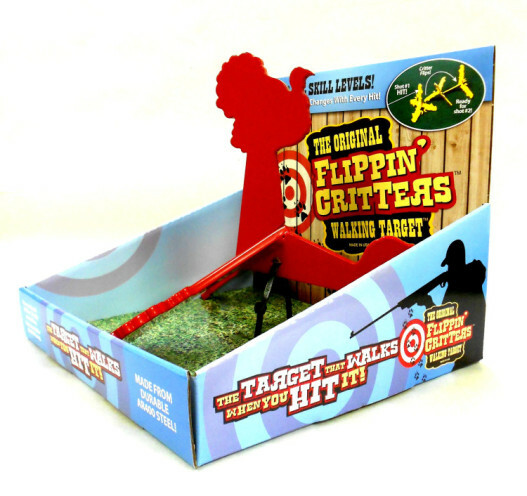 When used properly with appropriate ammo, the target will withstand thousands of rounds of target-shooting. 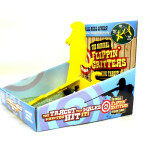 Made for use with .38, 9mm, .44 Special, .44 Mag, and .45ACP. 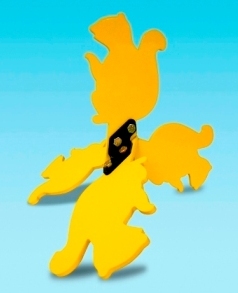 Made of Tough AR400 plate. 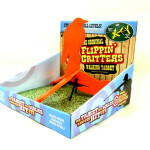 There are 6 Flippin’ Critters® to choose from for .22-.17.